It’s always a great idea to have a clearn, cheery and refreshing ambiance in your bathroom. 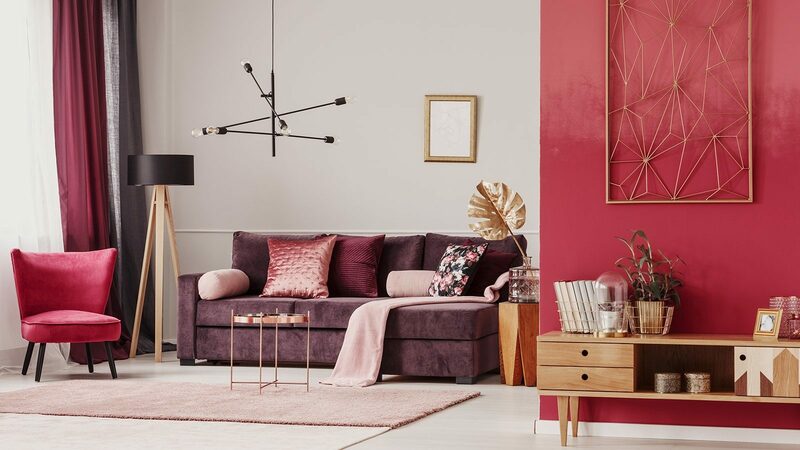 A huge part of creating this ambiance is your choice of color. One color that you should definitely take into consideration is green. 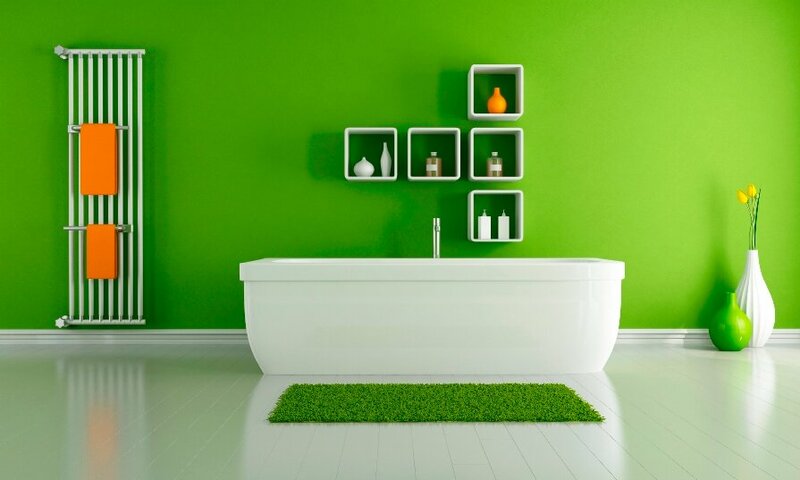 It’s been scientifically proven that green has soothing properties so it’s perfect to create a tranquil ambiance in the bathroom. Especially if you’re the kind of person who loves to relax in a long hot bath. 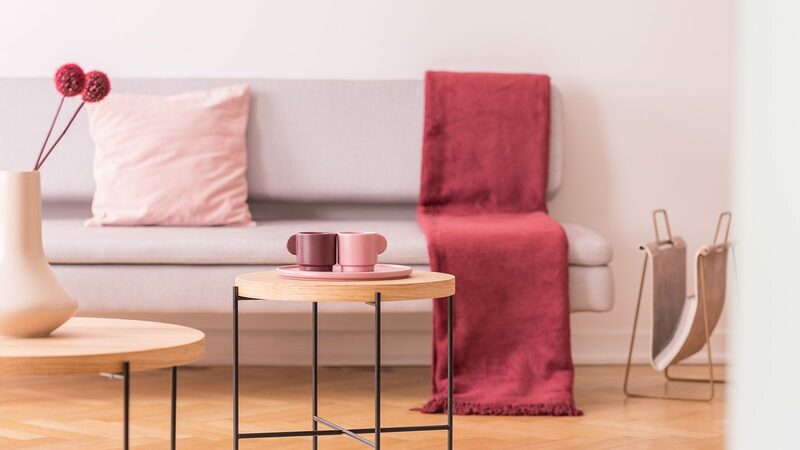 This color works great with a variety of different design styles and you can use as much or as little green as you want. 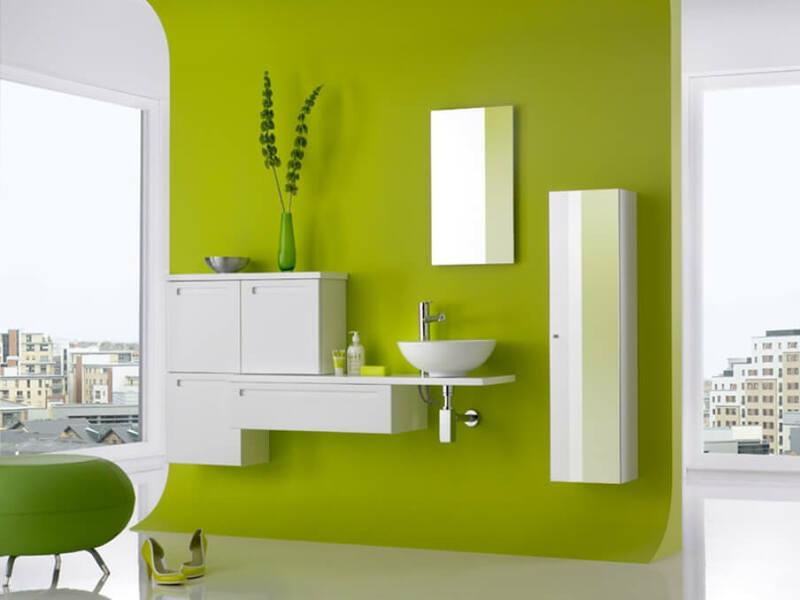 Check out this collection of cheery green bathroom ideas which should fill you with inspiration. 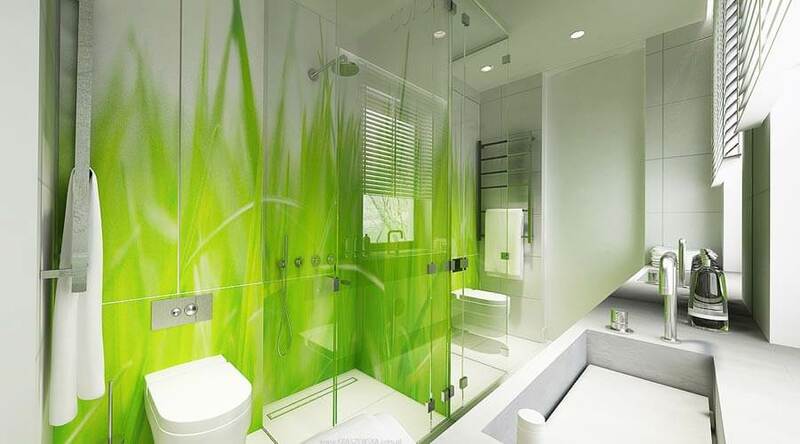 The organization and sheer serenity of this bright green bathroom is just outstanding! 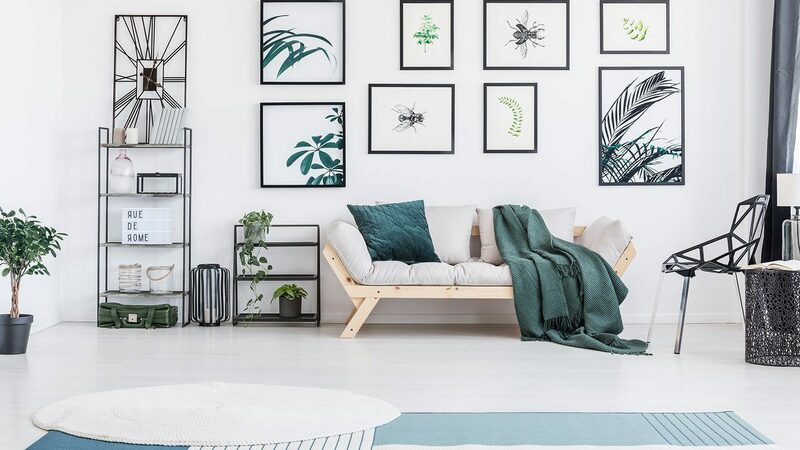 We love the simplicity of this super fresh and modern design, especially the bright lime green wall which brightens up the room while still providing a super sleek and relaxing ambiance. This bathroom is utterly beautiful and modern. The combination of pale green along with the black granite floor tiles creates some amazing contrast. 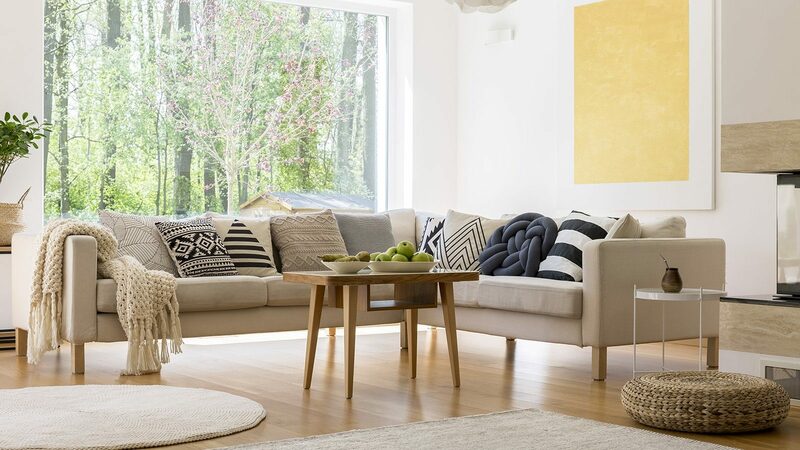 The hints of natural wood are a super nice touch and everything is so bright and clean. The dominance of the green grass pattern here creates a super cheery and natural feel in what would otherwise be a pale and no where near as interesting bathroom. All you really need is a touch of green like you see here and it has a huge impact. 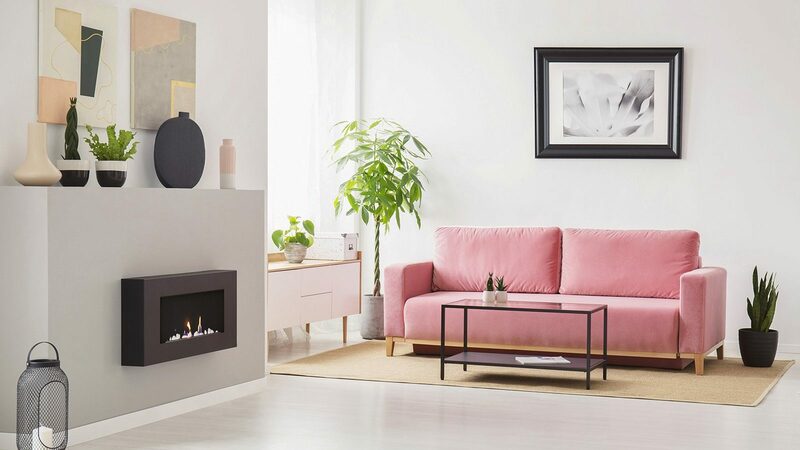 This is a super sleek green haven. 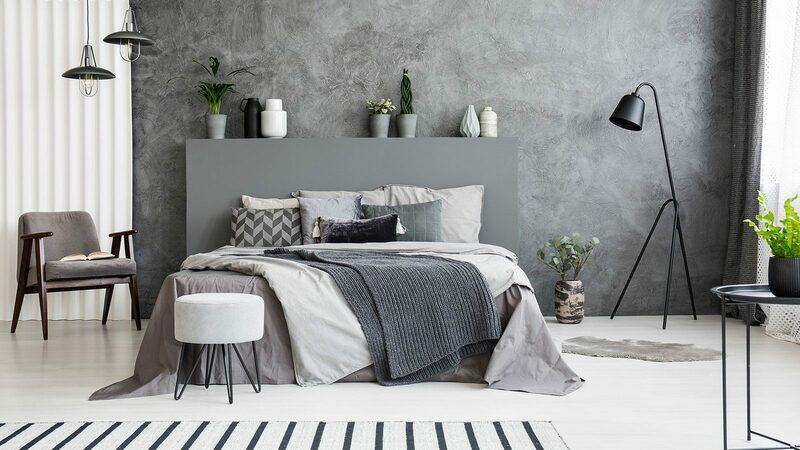 The minimal design works ingeniously with the green, white and grey colors. 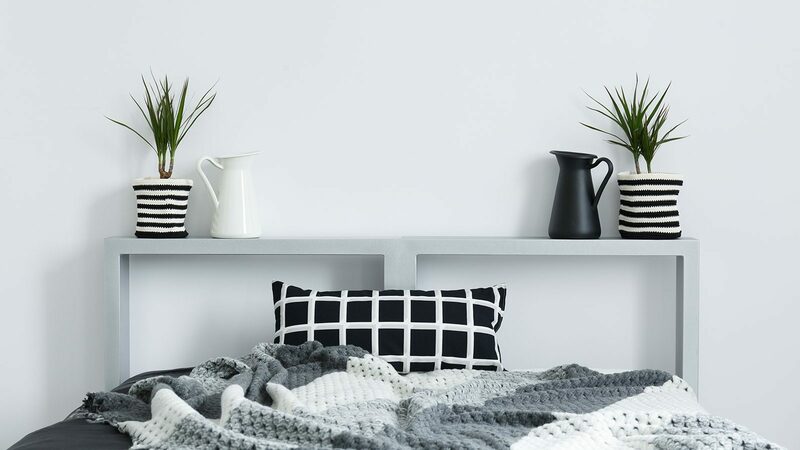 Everything looks super clean, cheerful yet still relaxing. The big window lets in a ton of light which definitely helps the cheerful feeling. Here’s a super lush and luxurious looking bathroom. 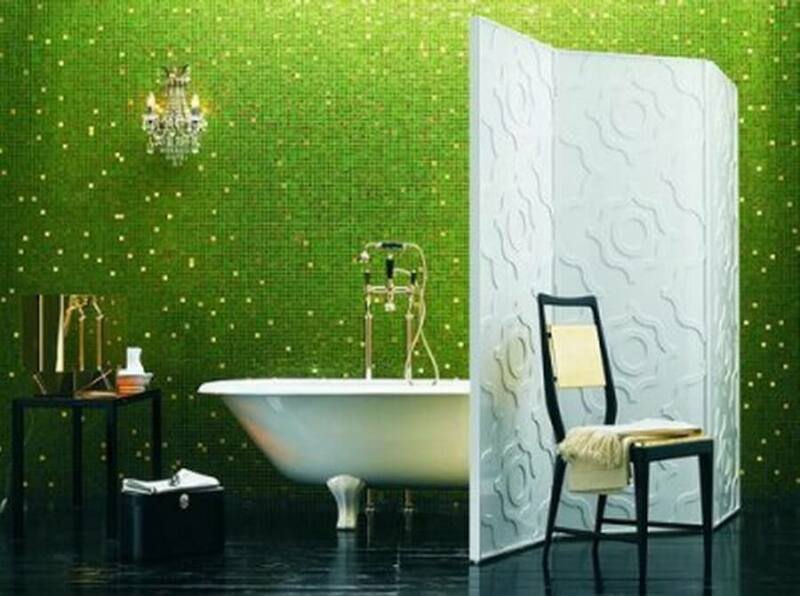 The green mosaic bathroom tiles stand out gorgeously, especially with the flecks of gold mixed in. Everything is super chic, extravagant yet nice and cheerful and refreshing. 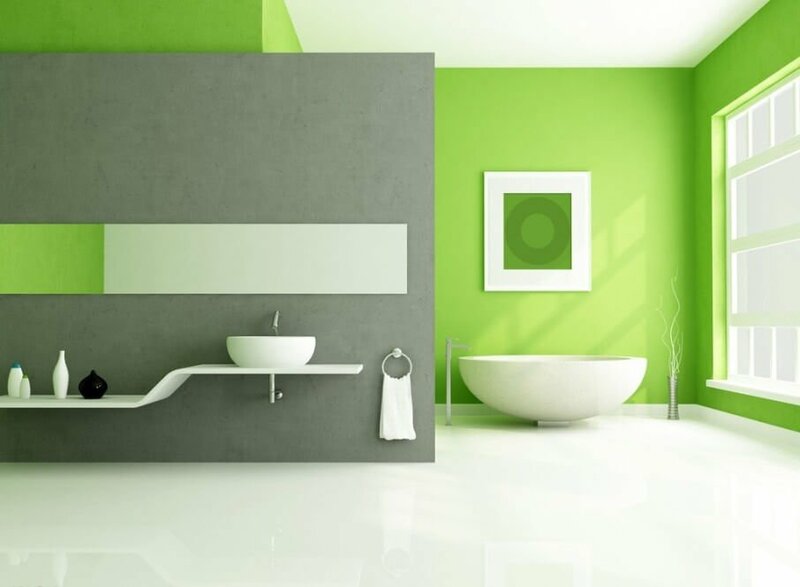 Green and white is definitely one of the best color combinations for creating a fresh and modern bathroom interior. 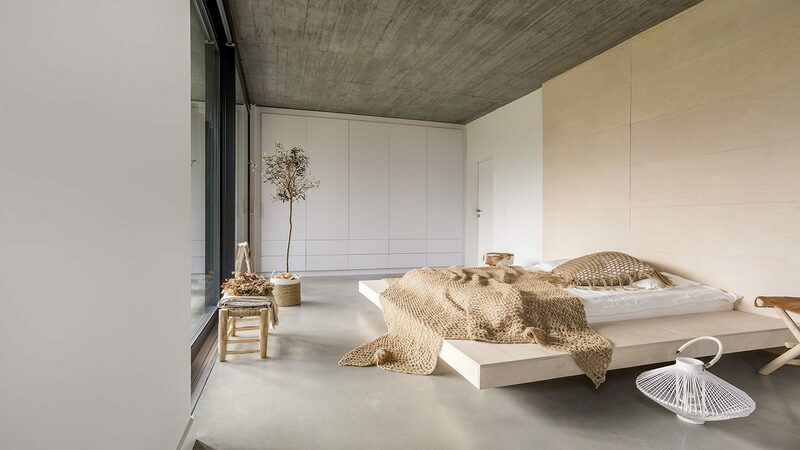 The use of natural materials in the floor works with this combination incredibly well too. 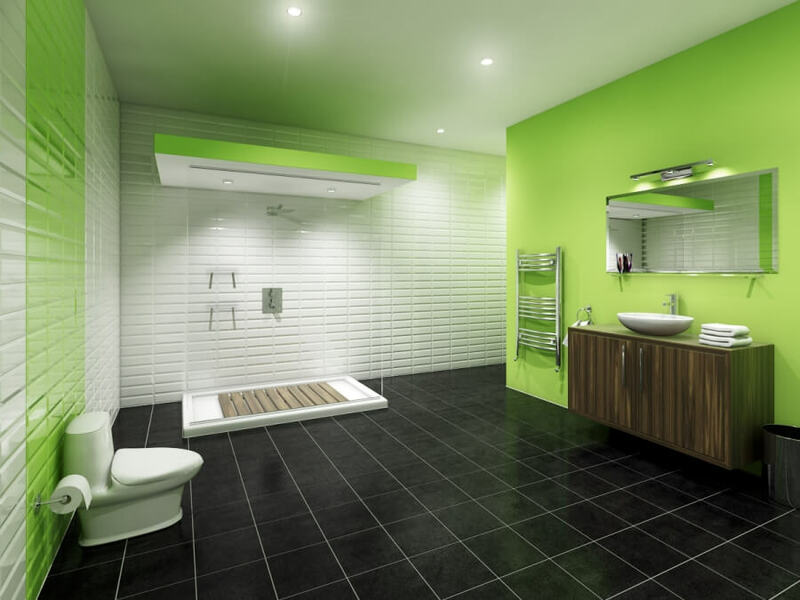 This different sort of olive green color creates a more netural and natural appearance in this super sleek and modern bathroom. 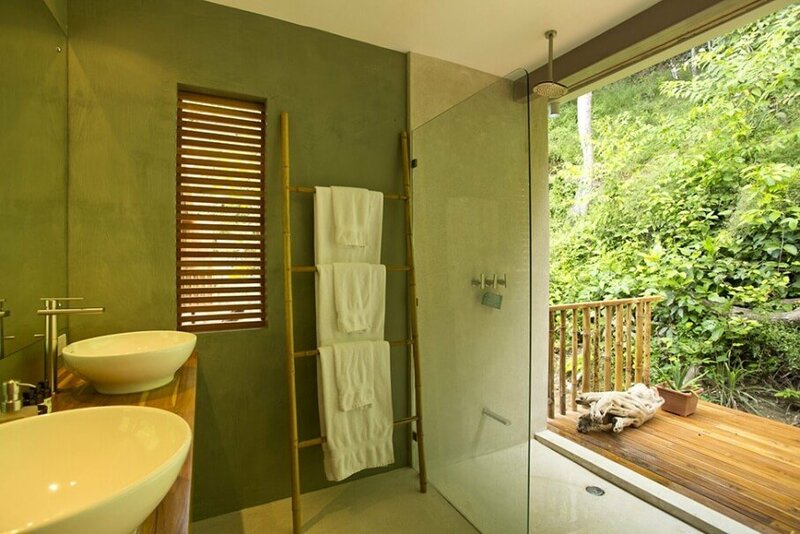 The bamboo towel rack is a super nice touch as is the natural wooden vanity top. Here’s more of a yellow green color being used here but it works just as well when paired with the color white as any other example. 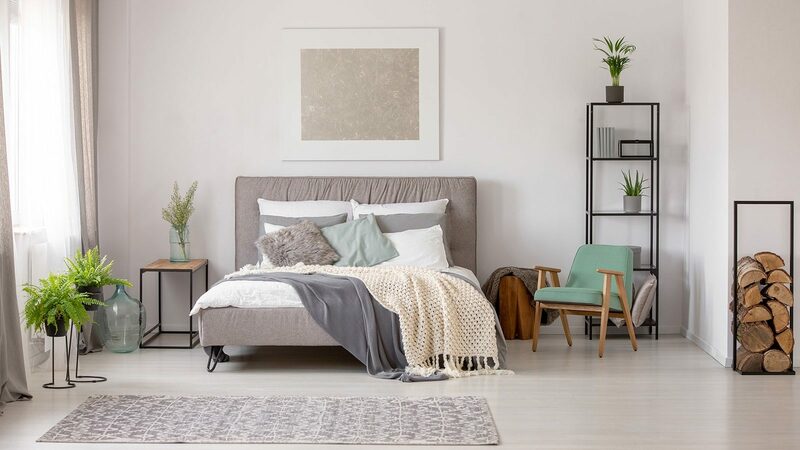 The simple, minimal design of the cabinets helps create a relaxing ambiance that looks great combined with the color green. Those absolutely huge windows and all that light certainly help too. This bathroom is a bit more perky and playful. It also makes great use of the combination of white and green with just a hint of yellow and blue too. 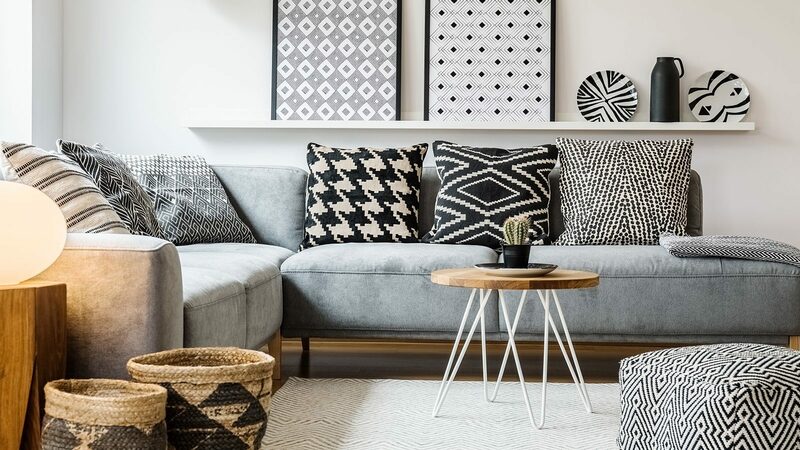 The designs and patterns make everything feel a bit more funky and fun as well. 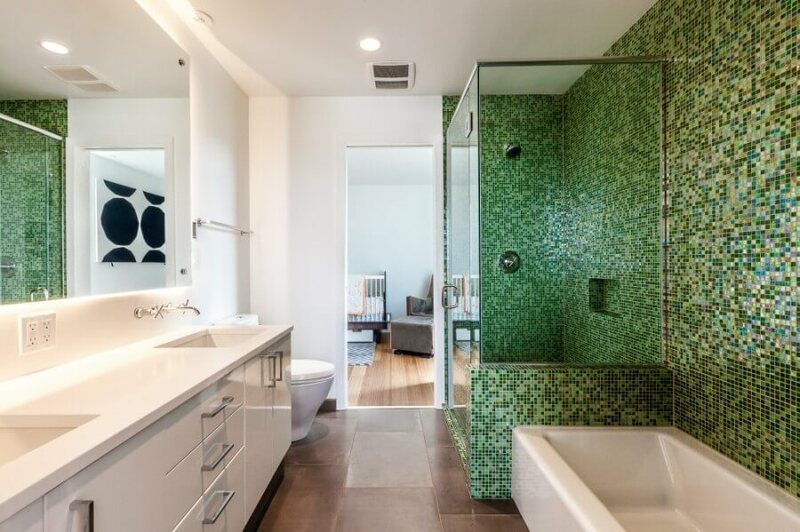 This bathroom is absolutely beautiful and the main focus is that magnificent green mosaic tile wall. The rest of the bathroom is simply white and would be pretty boring otherwise but the tiles instantly perk everything right up. It’s the perfect opportunity to mix in lots of different shades of green as well.